Simply darling vintage rocker with a pretty printed matching cushion. 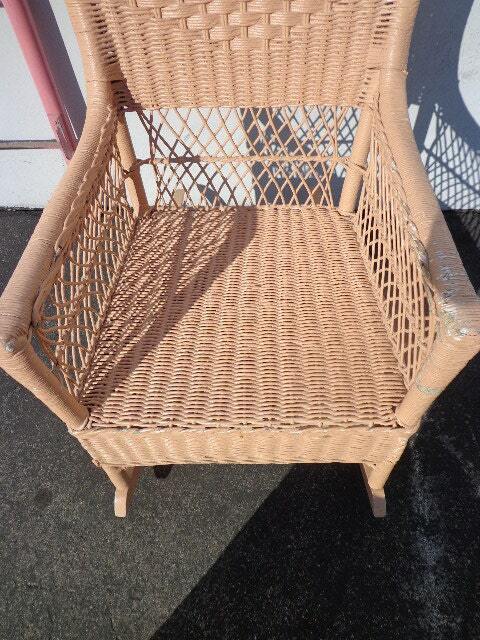 Solid and sturdy frame of wood and thick, woven wicker and painted pink and perfectly distressed. 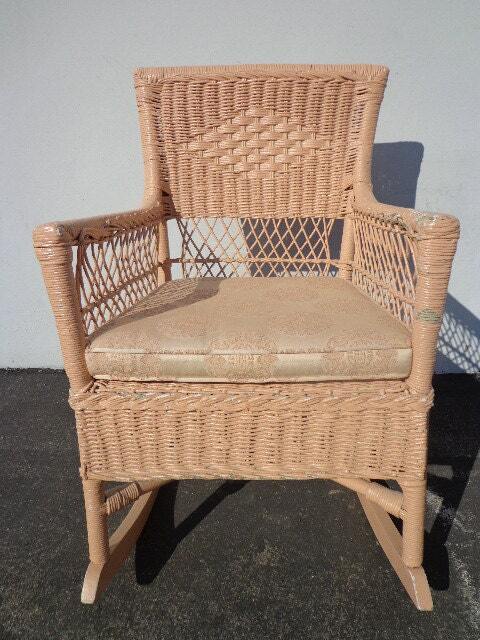 Shows normal wear from age/use, no major breaks in wicker. 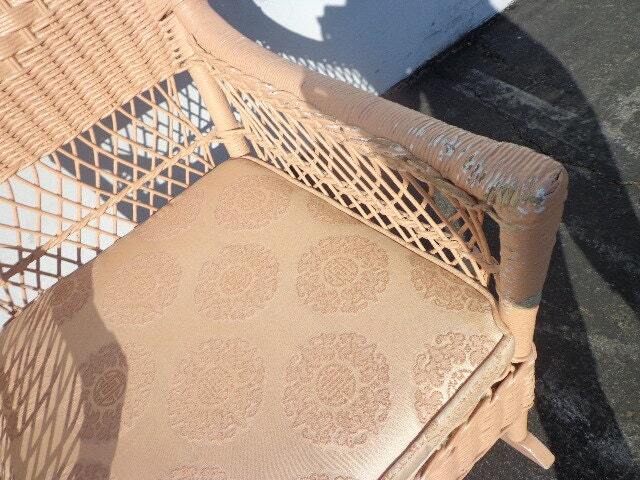 The piece dates to the 1890's and is in great condition for its age. 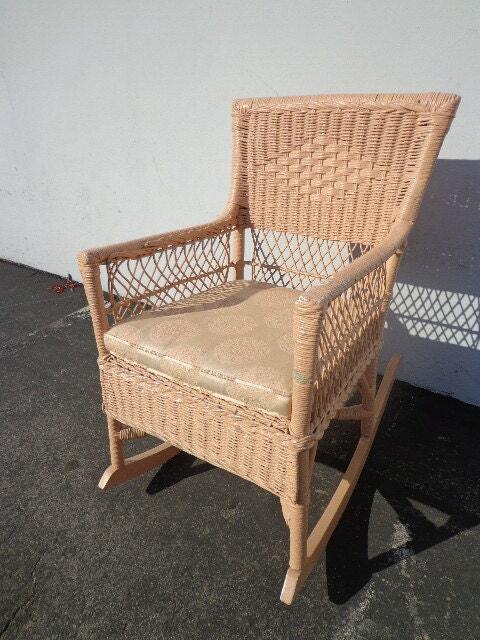 Perfect piece to use in any space such a nursery, living room, porch / patio, etc. 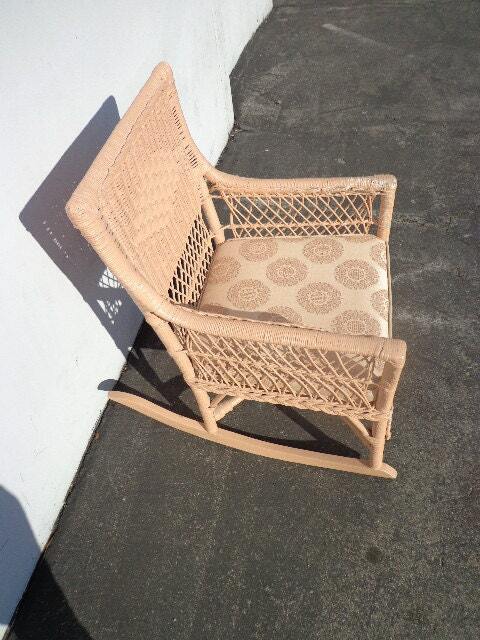 Will go great in shabby chic , vintage , eclectic, boho , cottage , coastal decors.